Comment: We are purchasing a condo in Sun City Oro Valley, AZ and need a house inspection for the interior only. The outside of the condo has been inspected by the HOA that cares for this. Comment: Original home built in late 1920s. Additions were built in '46, '60, and 2000. Most windows are single pane aluminum frame that leak like sieves. Two HVAC systems in the home. First unit system: roof top heat and cooling that scarcely work and is noisy and shakes house. Ductwork and unit installation for this was substandard. Would like to install windows and ductless HVAC to replace rooftop unit and remove ductwork. One section is not covered by HVAC at all. Second unit system: covers 2000 addition that was built remodeled with good HVAC principles. This second system can remain as is until a new unit become necessary. This second one does need maintenance. We need a professional and thorough assessment of space, load, and options. We will deal with multiple quotes after an HVAC assessment. Comment: This is a townhouse. Well kept up. Comment: 1958 slump block home at River and Oracle. Home has new septic, roof coating, HVAC, old 2 prong wiring, and some foundation repairs. Tucson Home Inspectors are rated 4.77 out of 5 based on 411 reviews of 18 pros. 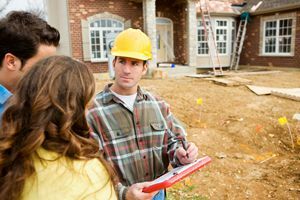 Not Looking for Home Inspection Contractors in Tucson, AZ?